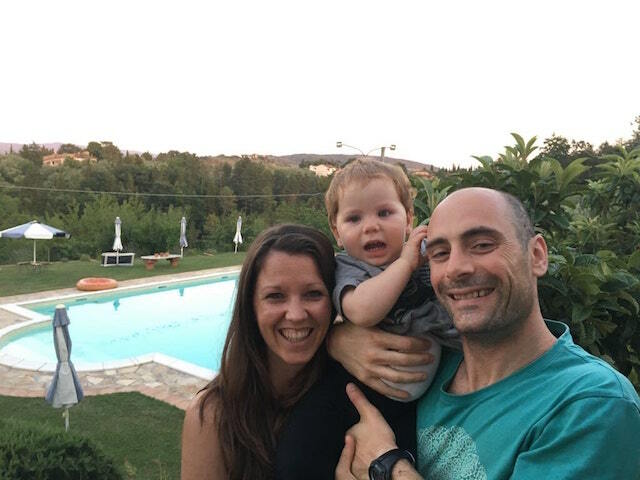 Ladies, meet Kate Whalen, an Australian lady who moved to Italy and fell in love there! She permanently live in Prato, now, and she has had a great business idea that she shares with us. I originally had no intention of staying in Italy, let alone marrying a Pratese man and having a child with him. But hey, things change! Sometimes destiny takes over your plans. And now 8 years later, I am married, living in Prato and we have a beautiful Italoaustraliano toddler. As many people who move to Italy soon discover, finding work can be a challenge. I was fortunate because I possessed the golden ticket, a British passport. I had less hurdles and hoops to jump through than many foreigners who move to Italy. The English school that trained me offered me a job and through colleagues I was able to find private students. I loved this new life and happily plodded along, earning my €150 a week and lapping up the Florentine way of life. It was after I had my baby that I decided to make some changes. From being a full time language consultant, travelling every day from one company to another, I had become a full time mum. I had registered for maternity leave through INPS and had replaced myself in three of the companies I had contracts with. I was organised and happy and I knew eventually I’d be able to return to work with little hassle. However, unfortunately one of the teachers I had replaced myself with didn’t initially leave one of the companies and he had ‘quietly’ stolen my contract with another. I was angry. I felt betrayed not only by him but also by the companies I had spent so many years building relationships with. An ex colleague had told me once before that she felt no loyalty here when it came to work as a freelancer, and in that moment I really understood what she meant. Fortunately I was able to pick up other contracts and recommence work part time. When I was pregnant, a dear friend of mine bought me a bag full of products I needed for my hospital bag and I did the same for my friend in the UK. Through Amazon, I ordered her products and had them sent to her house, so easy. And that’s when I had my idea to create a pre-packed maternity kit! I researched and could see that they work in Australia and The States. So I started shopping. I did a test run by compiling essential items from the supermarket and farmacia, to get an idea of regular retail products and costs. I set up a meeting with my midwife. I was so excited to show her my idea and get her feedback, I could really see this working. 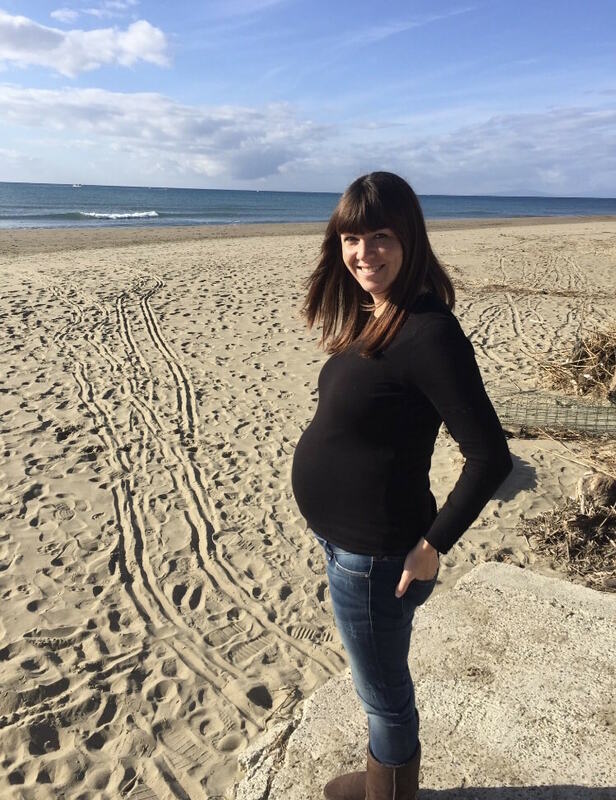 Then, she shut me down…… The one person whose opinion really mattered to me, who had brought my child into the world, who was almost like a mother figure, told me that no Italian woman would buy this maternity kit. According to her, Italian women have time to go out and buy their own things and prepare everything themselves. I was devastated. But I wasn’t convinced. 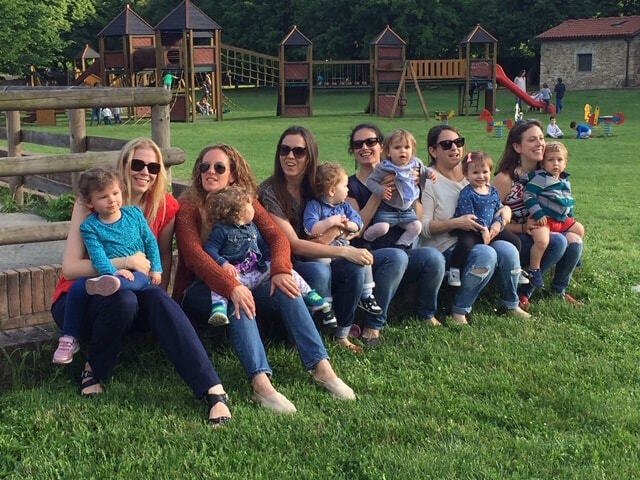 I set up a WhatsApp focus group with local and foreign mums, and I started firing them with questions. It was the support from these amazing women that made me pick myself up and continue this project. I met reps, so many reps. I had meeting after meeting in my terrible Italian and set up deals with these people, who may or may not have been taking advantage of me being a foreigner, I’ve decided not to worry myself with that, and I created my kit. Then the real work started. Through my husband I hired a product development team. They LOVED my idea. They created my brand, convincing me to call it after my own name. I was mortified. The last thing I wanted was to call my company after myself. I spent two weeks brainstorming with my focus group. But then it was decided. My company name became the first name that the developers had suggested. 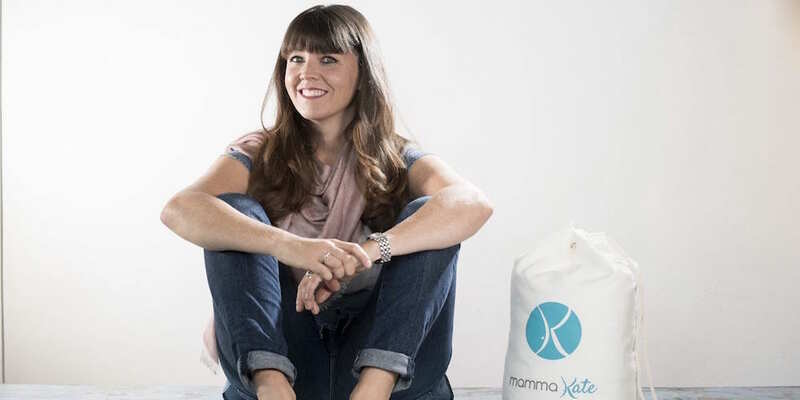 Mamma Kate. This amazing team created my logo and brochures. We did a photo shoot of the products and of me. It was during the photo shoot that it really hit me, “These people are working FOR ME”. What had been a fun idea was now reality. These people were taking my brand and running with it. They believed in me. My friends believed in me. My husband, my family, my in-laws. It was an exciting time. A year after the disappointing meeting with my midwife, my maternity kit was ready. I had created a beautiful, professional looking, pre-packed maternity kit for new mums. It was a really special moment when I put the first kit together. I had three pregnant friends at the time and I was able to proudly gift each of them a kit. I have since created a Facebook page and an Instagram account and have opened three shops on Amazon. I have had help along the way, but most of it I’ve done alone, and still am. But, I did it! My idea and my hard work paid off. It’s slowly building. It isn’t an easy market as it isn’t always a gift that can be given. But it’s special and people like it. Plus, two weeks ago my midwife contacted me. Somehow she had caught wind that I had continued my project and had opened the Amazon shops. She sent me a message saying she had seen the kit and “Brava.” That was another really proud moment for me. So, as we all know. Italy can be a hard nut to crack. But, with perseverance and support from our nearest and dearest we can do anything, even here. Forza! Thanks a lot to Sophie Charlotte of The YES Woman for connecting us.